Being familiar with the saying ” In with the new, out with the old” is the best attitude. 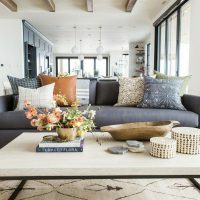 As 2019 already takes over the best interior design experts are here to help us with the upcoming trends. Not just that will make out home look its best but to be the best version of itself. 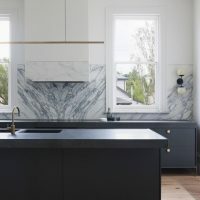 So here are the smokiest 9 designs that are on the list of 2019 interior decor. 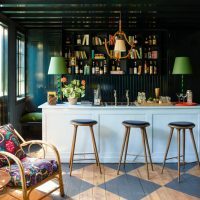 The interior designers are moving from the Scandinavian inspired Hygge design elements and are back with the Art Deco. The Art Deco has its own richness and influence that is about to become more prominent this year, from both furniture silhouettes and textile design. For sure we expect colors that are complementing the blush hue but the pink continues to be very strong in furniture. From a color perspective also there is the navy, the olive green and the oxblood that are trending in this Art Deco phase. This is the “new mid-century modernism interior trend” that will pop in our homes with its playfulness and sensibility. Speaking of the Art Deco we will see it taking over lighting, sofas, glamorous accent tables. Also not to forget the chairs and accessories. This year the softer curved items will be in, instead of the sharp edges. 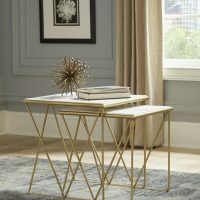 They are here because will fill your living room and will pair well with the return of Art Deco. Picture the curved sofas, the curved-back chairs in your home as part of the popular mid-century design. Doesn’t make you think of bright and calm mornings, classical music and a cup of tea in your hand? One word, classy! Now imagine them used in rich velvets and chenille, providing a bit of sensuality and rich vibe. Now let’s focus a bit on the velvet that is a rich fabric appreciated for its lux, soft and funky feel. This sumptuous fabric will savor your sweet dreams undoubtedly! And what if you upholster your headboard in jewel-toned velvet? First, it will add a touch of sophistication in the often-subdued sanctuary of any bedroom. Take a look at this velvety sofa and chair designs as inspiration. We are all aware of how turbulent this world can be, and how full it is with bad news, fake news. It brings us overwhelming stress and discomfort, so we are constantly in search of a calm and quiet place we can feel our spirit. Imagine how much it means for our health to create a small indoor garden space and to use comfortable furniture that can allow us some true relaxation. Forget about the TV, laptops, and other technology-based stressors and create your own relaxation corner. This simplicity requires appropriate furniture to match so it can simplify your home. Now, retreat and relax. Warm color palettes, abstract patterns, interesting textures are just the introducing note to the 70’s nod. With the return of the Art Deco, we can head back in time to 70’s chic decor. The first thing you really need to do is bring back terrazzo! It doesn’t matter if it’s countertops, flooring, or walls just do it! 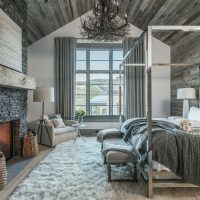 You can integrate the flecked stone into your home through bath accessories or countertop accents, but don’t forget the other trending materials like macramé and rattan. All these materials were born out of the 1970s so they are worth implementing. 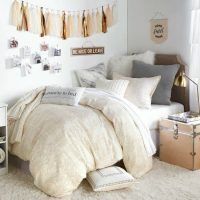 When looking to update their space, when the word ‘wallpaper‘ would come up people reacted as they have allergies on it. But, today the wallpapers are marking their comeback, first in 2018, which is the year that people just went crazy about them. If you are one of the truly lovers of wallpapers embrace bold colors and patterns! By committing to a wallpaper you love put art or photographs on that wallpaper, or try to elevate the space as a whole with a subtly textured wallpaper. And another trend in the wallpaper is agate designs with patterns and markings mirroring lines found in nature.